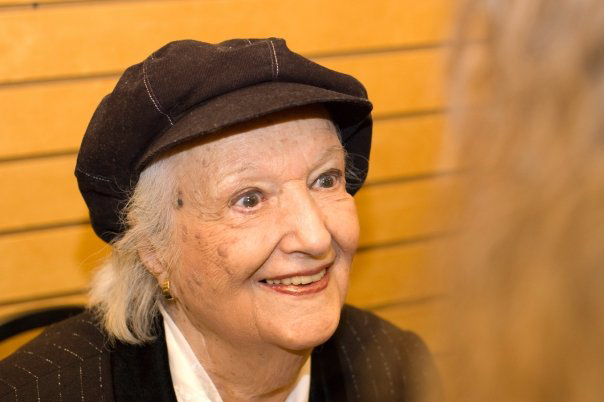 I learned earlier today Phoebe Jacobs passed away this weekend. Phoebe was unique in every way. She made things happen. As the Executive Vice President of the Louis Armstrong Educational Foundation, she made my book Satchmo (Abrams) happen and as my friend she is responsible for my upcoming book on Duke Ellington (Rizzoli) with his granddaughter Mercedes. She was not only a great champion of Armstrong and jazz but of all those she believed and cared about. It was through her eyes and with her generosity that I got to know Louis, and I dedicated the book to her. Her early job as a hat check girl at the New York City club Kelly’s Stable brought her into the world of jazz, and she went on to work for Joe Glaser and Oscar Cohen’s Associated Booking Corp Agency, representing all the greats of jazz of the 20th century, such as Benny Goodman, Ella Fitzgerald, Sarah Vaughn, Billie Holiday, Mildred Bailey, Ethel Waters, Duke Ellington and Peggy Lee. 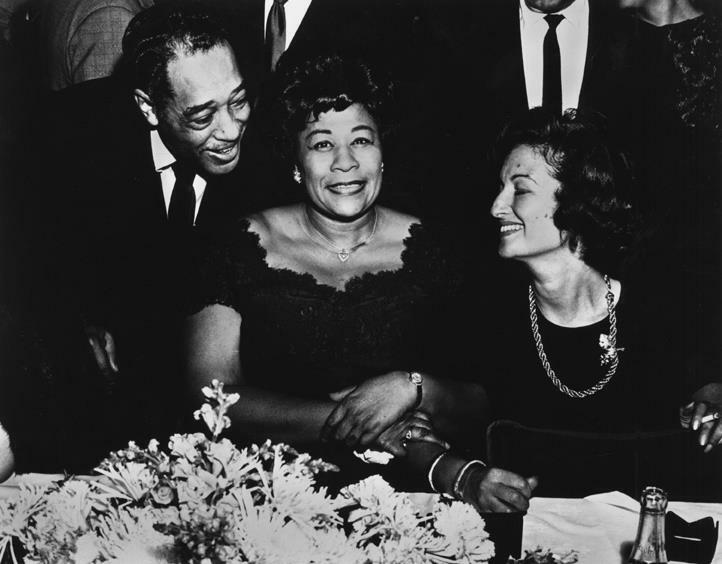 She was also Louis and Lucille Armstrong’s personal assistant and worked as an editor at Simon and Schuster. She was responsible for the exhibition: “THE COLLAGE AESTHETIC OF LOUIS ARMSTRONG – In the Cause of Happiness” currently on view at Flushing Town Hall. If you haven’t seen it you should head on out, it’s great to see Louis’ collages the size of posters. Phoebe was in her early 90s. I’m going to miss her inexorable spirit. To paraphrase Duke, I loved her madly. 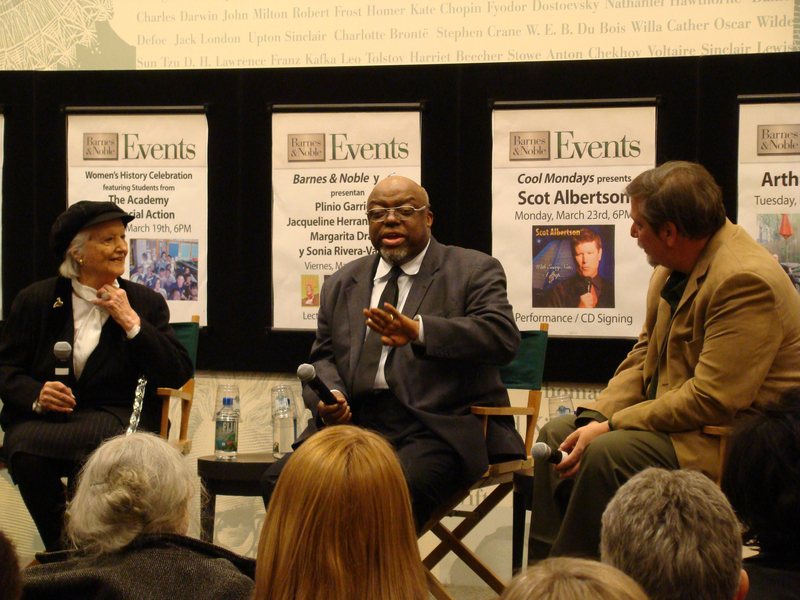 Photos: Phoebe at Barnes and Noble book signing in NYC, March 2009; Phoebe, Stanley Crouch and myself discussing Satchmo that night; Phoebe with Duke Ellington and Ella Fitzgerald. 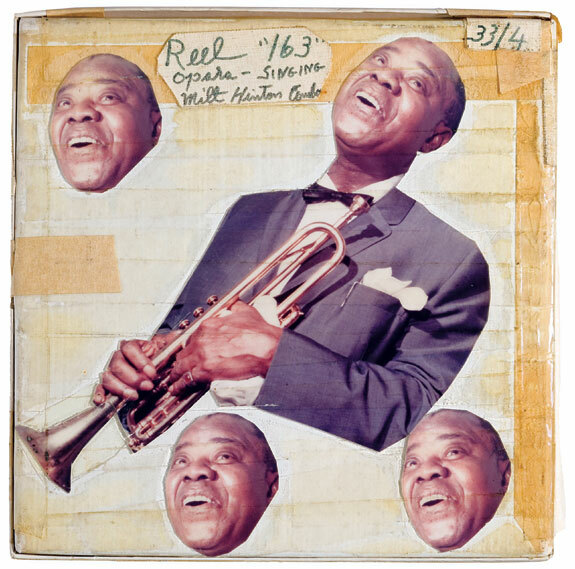 I’ll be signing my SATCHMO book next Friday, October 14, 5 pm at Flushing Town Hall, for the opening reception of the exhibit “THE COLLAGE AESTHETIC OF LOUIS ARMSTRONG – In the Cause of Happiness.” If you are around come by and say hi. Free jazz concert with the Randy Sandke Trio to follow. 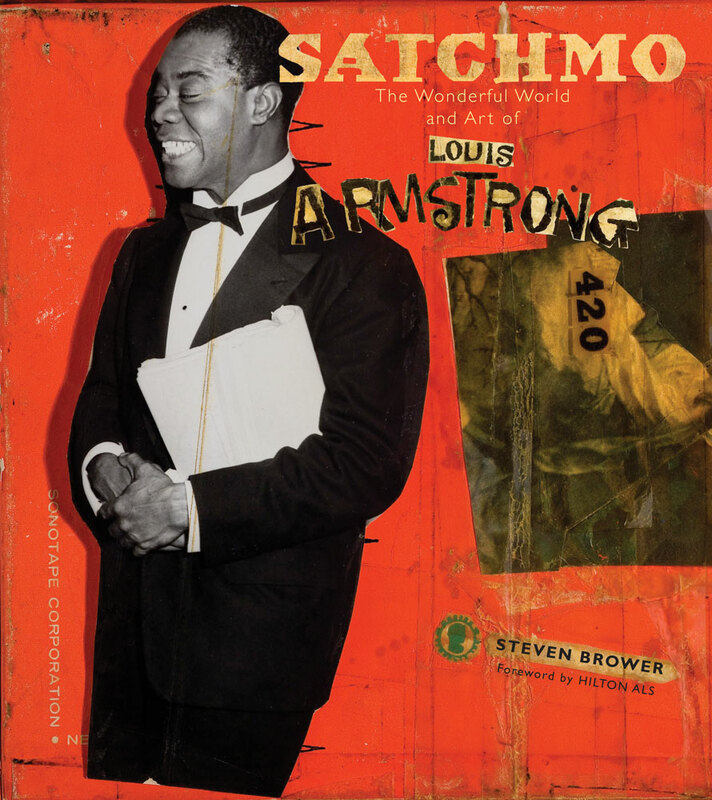 My book Satchmo: The Wonderful Art and World of Louis Armstrong has been translated into French by Éditions de La Martiniere. They did an excellent job of remaining true to my design and the book is beautifully printed, just like the Abrams edition. 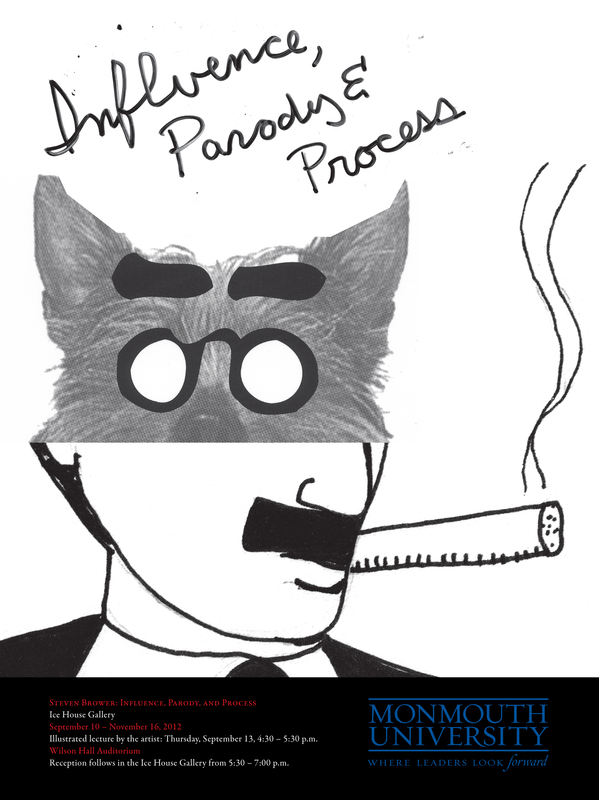 I will be posting more news about Satchmo as we get closer to the pub date of March 1. This just in: Satchmo is featured in Elissa Schappell’s Hot Typereview of the current March issue of Vanity Fair, the one with Obama on the cover.